Excuse the craptastic pictures. 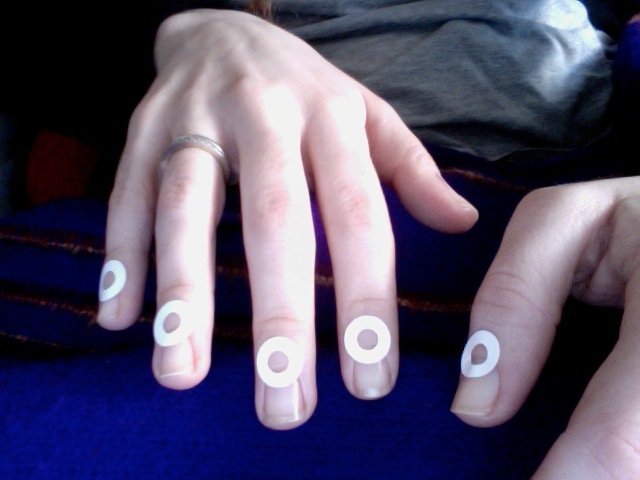 And the fact that there's already 3,000 tutorials for the half-moon mani online. But you know, I've got all this time on my hands, and very little energy, so experimenting with strange manicures is the perfect thing for sick week #2. 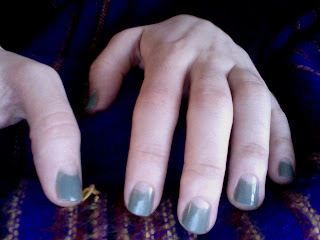 I started out with a base coat of Nailtiques formula 2, without which my nails would be a flakey splintery mess. 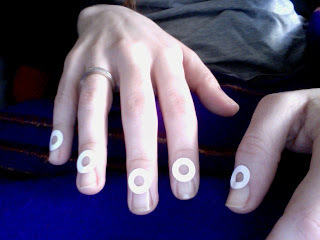 Then I used those hole reinforcement stickers to block out the half moon. Some people are doing this freehand. I think they be crazy. Now you can just throw on whatever color floats your boat at the moment. I used Urban Outftters nailpolish in Green 12, which is one of my absolute favorites, not just because of the gorgeous color, but because I can usually get away with just one coat, and it lasts longer than just about any other brand I've tried. Plus they're on the cheap end and the color selection is pretty awesome. Check them out if you haven't, I highly recommend them. Now's the part where you take the stickers off. I've done this twice and this part is where it goes wrong. The nail polish must be DRY, with a capital D-R-Y. But even so, I find that in the spots where there was a thicker layer, it leaves a ridge and messes up the clean line. Also I had issues with not being able to get all the way down around the edges because the stickers aren't laying completely flat against the nail. Are my nail beds especially curvy? Doesn't anyone else have this issue? Anyway, this is the stage where you reveal that you and your nails are not perfect. This is also the stage where I realized I didn't really care. I liked them, but after the final step I like them even more. 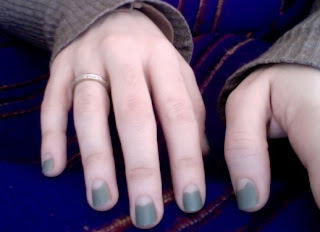 I added my new favorite nail product, Rimmel Pro Matte Finish, which instantly mattifies any nail polish you have. The final outcome sort of looks like I scratched off half my manicure in a fit of anxiety, but maybe that's part of the charm. I kind of love it. I also know that once I'm back on my feet there's no way I'm going to find time to do this again. But for now, I might as well enjoy it. 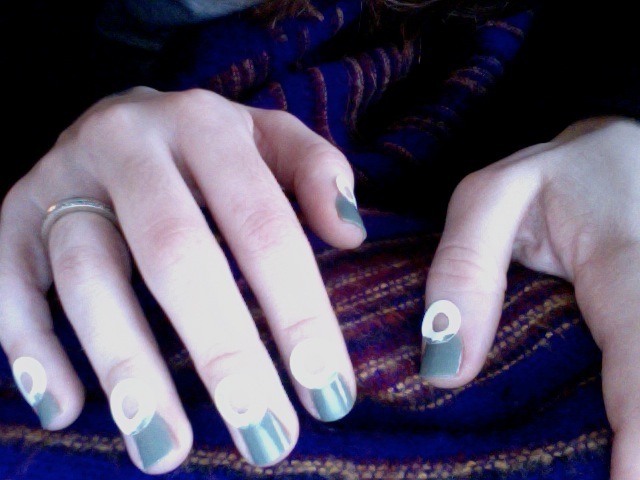 Good job on the half-moon mani! I haven't tried it yet.